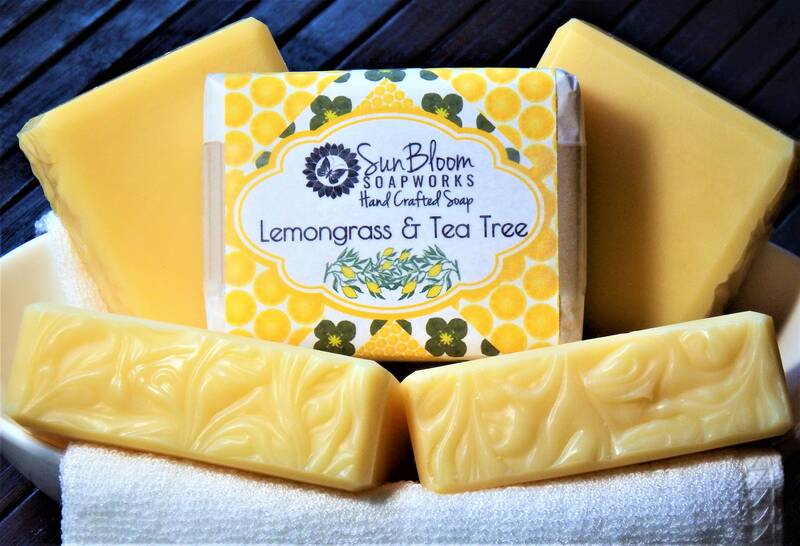 Lemongrass and Tea Tree Soap is scented with essential oils only. No colorants have been added, the natural soft yellow color comes from the lemongrass essential oil! The scent is so uplifting - bright and lemony with a fresh woodsy back note from the tea tree oil. Repeat purchase. I have enjoyed all the products that I purchased from this seller. Thanks!